QLab позволяет легко создавать богатые мультимедийные проекты для живых перформансов и инсталляций. От Бродвея до Вест-Энда, в церквях, музеях, витринах магазинов, концертных залов, театров и во всем мире, люди используют QLab привести свои аудио и видео записи. Using building blocks called "cues", you can create sophisticated designs in seconds. Getting started is as simple as dragging in a file and pressing "GO". From there, add commands to fade volume, animate videos, or add audio and video effects. Once you master the basics, become a power user with advanced features like scripting, video corner pinning, multi-projector edge blending, audio localization, or even building multi-computer designs by sending commands to other QLab machines on your local network. 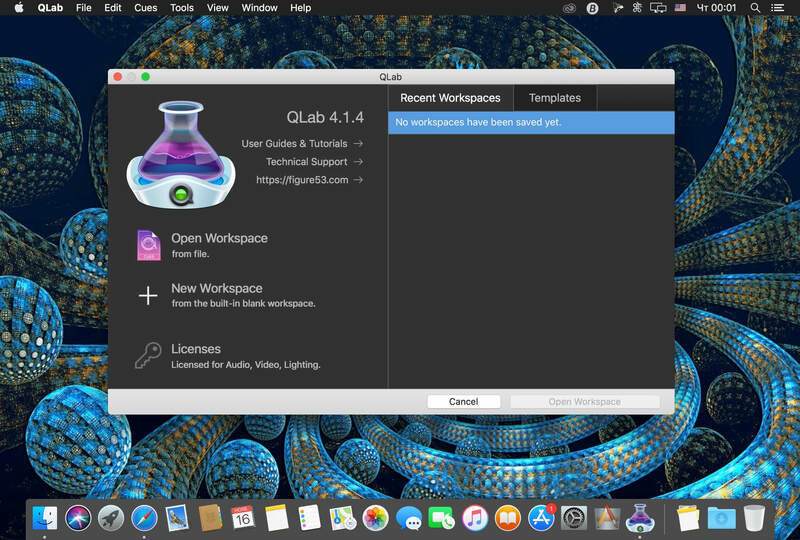 QLab comes in a variety of editions depending on your needs and can also be rented. Click here for pricing details. Additionally, users of version 2 can purchase version 3 at a discounted price.